Anne Arundel County Superintendent Kevin Maxwell has been named CEO of Prince George's County Schools. News4's Prince George's County Bureau Chief Tracee Wilkins broke the news on Twitter Wednesday afternoon. 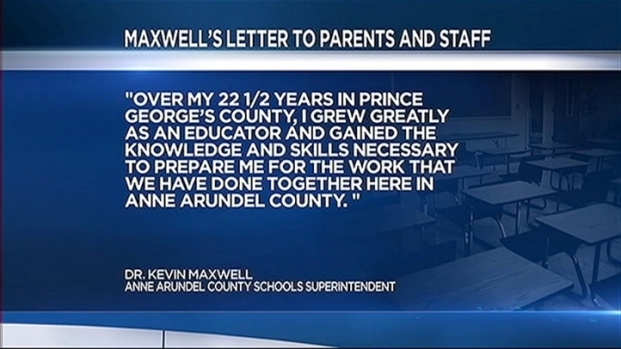 "The opportunity to lead Prince George's County Public Schools ... brings my career full circle," Maxwell wrote in a letter to parents and staff Thursday. "It was in Prince George's County where I started as a student teacher in 1977 and began full-time teaching in 1978." Maxwell worked as a teacher, principal and educational administrator in Prince George's for 22 years, before becoming Superintendent of Anne Arundel County Schools in 2006. Anne Arundel County Superintendent Kevin Maxwell has been named the new CEO of Prince George's County Schools. News4 Prince George's County Bureau Chief Tracee Wilkins spoke with several officials who have worked with Maxwell. 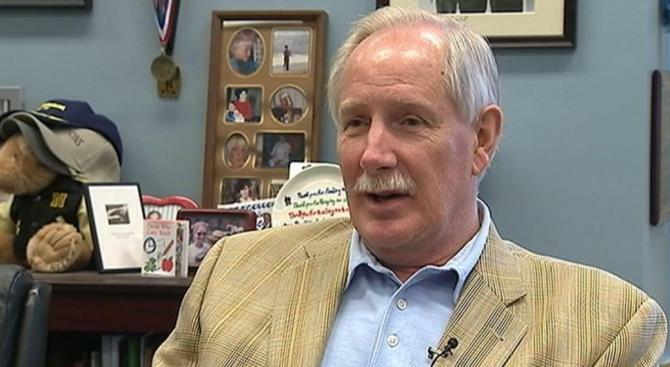 "We're going to miss him," Anne Arundel County School Board member Kevin Jackson said. "We were blessed to have him in Anne Arundel County." "People used to say things like, 'Oh, we'll never get Kevin Maxwell to come here,' but we know we have a great school system," Prince George's County Public Schools Chair Segun Eubanks said. The Prince George's County's superintendent position was renamed "CEO" this year under the auspices of Gov. Martin O'Malley and County Executive Rushern Baker. Interim Superintendent Alvin Crawley announced his resignation earlier this year following the school takeover plan. All three candidates for the position had withdrawn their names for consideration, and Crawley was asked to stay on board until a CEO was named.